The winner of the four-team tournament, being played on a double-league format, will qualify for the ICC Women’s World Cup Qualifier 2017. China pulled off a three-wicket win over Thailand while Nepal beat host Hong Kong by six runs in the ICC Women’s World Cup Asia Qualifier 2016 on Thursday. China’s Li Yingying and Liu Jie shared five wickets as China registered its first win of the tournament at the expense of Thailand, which was unbeaten before this match. In another match, Karuna Bhandari’s all-round effort of 19 not out and three for 17 helped Nepal catch up with Hong Kong on the points table as both now have two wins each. Thailand currently leads with three wins while China has only one win from four matches. Hong Kong coach Charlie Burke said his team had come under pressure to lose a second consecutive match. “We bowled and fielded very well (today). We fielded a lot better together, particularly on the boundary. We stuck to our plans lot more today than against Thailand. “But I think the result between China and Thailand put a little bit more pressure on us. We have to be a lot more composed, the team that panics first, loses,” Burke said. Thailand 86-7 in 20 overs (Sornnarin Tippoch 25 not out; Li Yingying 3-16, Liu Jie 2-8). China 87-7 in 19.2 overs (Zou Miao 22; Suleeporn Laomi 3-10, Rattana Sangsoma 2-21). Nepal 75-8 in 20 overs (Karuna Bhandari 19 not out, Chan Ka Man 3-11, Keenu Gill 2-9). 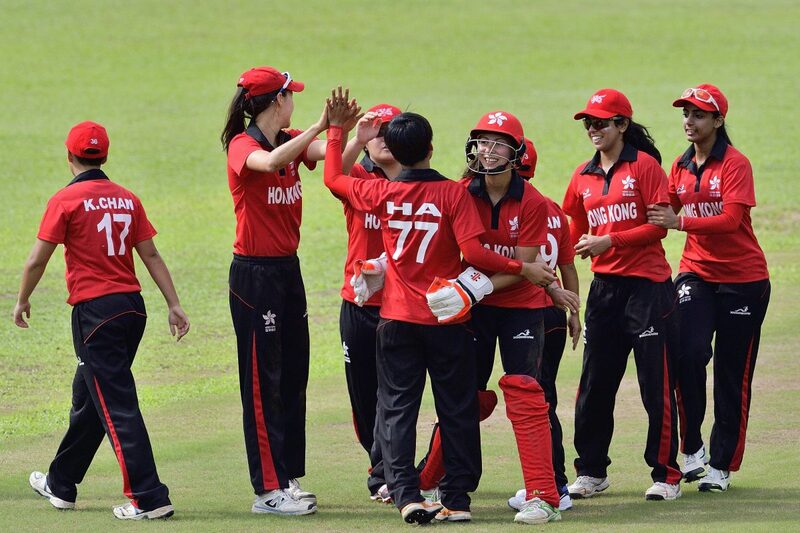 Hong Kong 69 in 17.4 overs (Kary Chan 18, Karuna Bhandari 3-17, Sita Rana Magar 2-15).